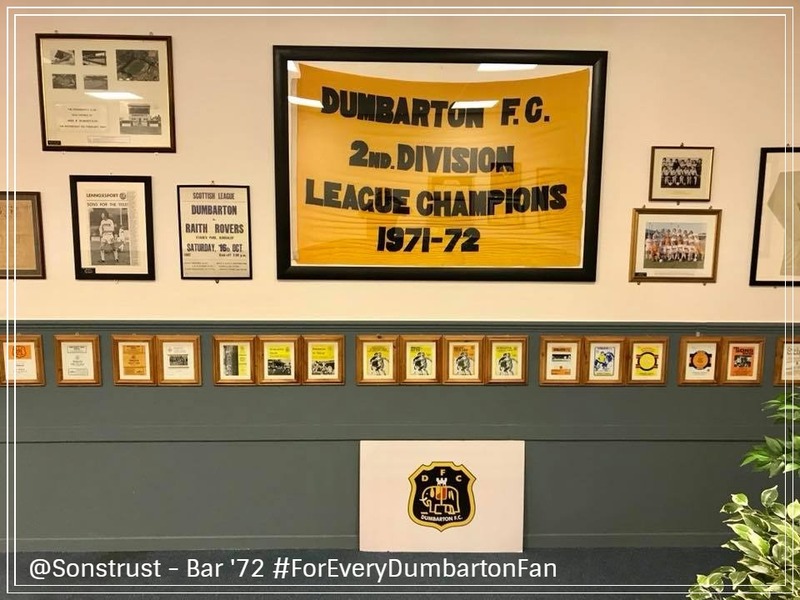 AS part of the Sonstrust’s ongoing work in and around the C&G Systems Stadium, Bar ’72 in the community suite will once again look terrific with the restoration of the club’s memorabilia to the facilities walls. Members of the Sonstrust, led by membership secretary Tommy Hughes have given up their weekend holiday Friday to come along to kick-start the process. First items to be restored are frames containing a selection of the club’s matchday programme and there are plans over the next few months to have all previously removed items back in situ. Tommy said: “The community suite looks very stark and bare without our items of club history on display. “The walls were painted during the summer, and we have plans to re-vamp the floor and dance floor area too, and it’s time to put things back. Sons next home game is next Saturday (29th) when Raith Rovers visit, sponsored by Scotserve Ltd.